Over Labor Day weekend, grade 9 chess enthusiast Shaunak Maruvada took second place in the expert section (U2200) at the CalChess State Championship. Facing formidable competition, Maruvada was undefeated in his section and finished in second place, missing two games to celebrate his birthday on Sept. 7. In mid-August, Nathan Liu, grade 4, and Tiffany Zhao, grade 9, traveled to Germany to play piano at the Sulzbach-Rosenberg International Music Festival. During a public concert held in the town hall, Liu and Zhao had the opportunity to play a duet (a Brahms waltz), in addition to doing solo performances. Liu had the distinction of being the youngest music player invited to the festival. 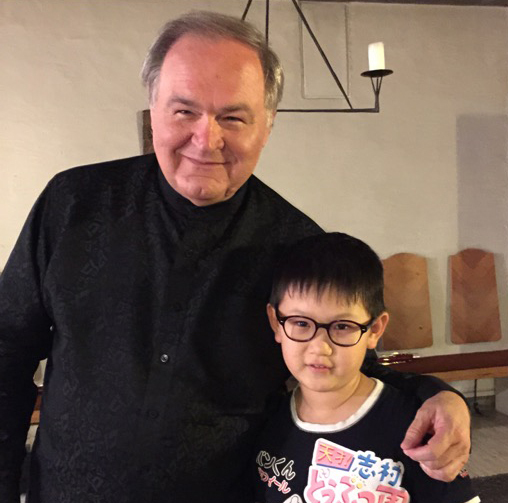 While in Germany, both Liu and Zhao learned from many of the world’s top musicians, and spent time at a historic music school located in a medieval castle. “I learned how to cooperate with other musicians, as well as train my ear to listen to other people and play accordingly. My piano teacher asked me play a duet with Nathan there. It was also a great experience to mentor a younger musician,” Zhao said. “It was a great experience,” said Liu. “One of the cool things is I made some good friends. I was really glad that Tiffany was there, so she could accompany me. I was amazed that everybody in the town was very into music and the posters of the festival were everywhere. I learned a lot from the more experienced musicians. Overall, it was an unforgettable two weeks!” he added.